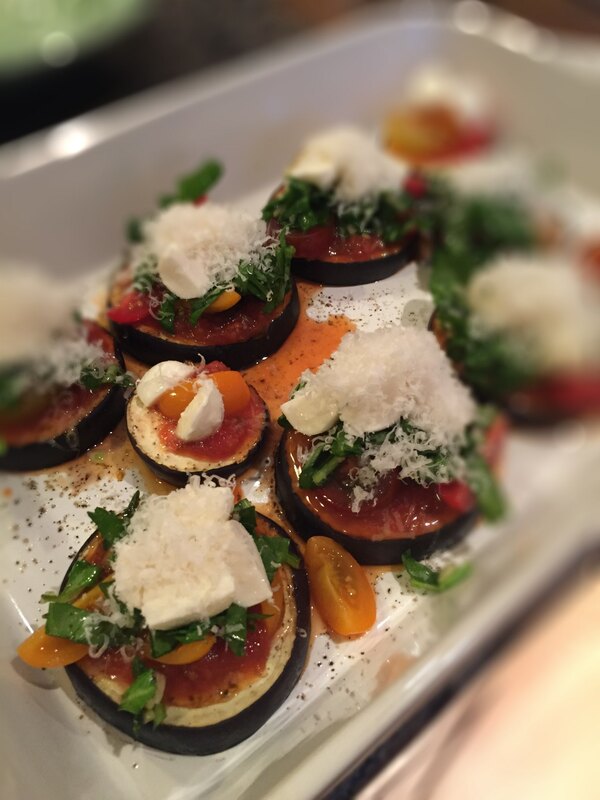 Eggplant Spinach Pizza is so easy, low carb and the variations are endless. I have always made a simple breaded fried eggplant and topped it with a favorite jarred sauce as a side dish. Very simple and so delicious but loaded with the no-no combination of carbs and fat. I have tried almond flour to cut the carbs a bit but the results are not quite the same. Yet, I still find myself buying that purple veg whenever it looks good then wondering what to do with it that is more keto-friendly. The perfect storm of ingredients in my fridge prompted this Eggplant Spinach Pizza that will now be a go to edible solution for my purple friend. There are many possibilities and variations that you can have fun with depending on your favorite pizza toppings. This is a knife and fork situation so don’t worry about picking it up. Load on your creativity and see what you can come up with. Salt both sides of eggplant and let rest on paper towels for 25 minutes. 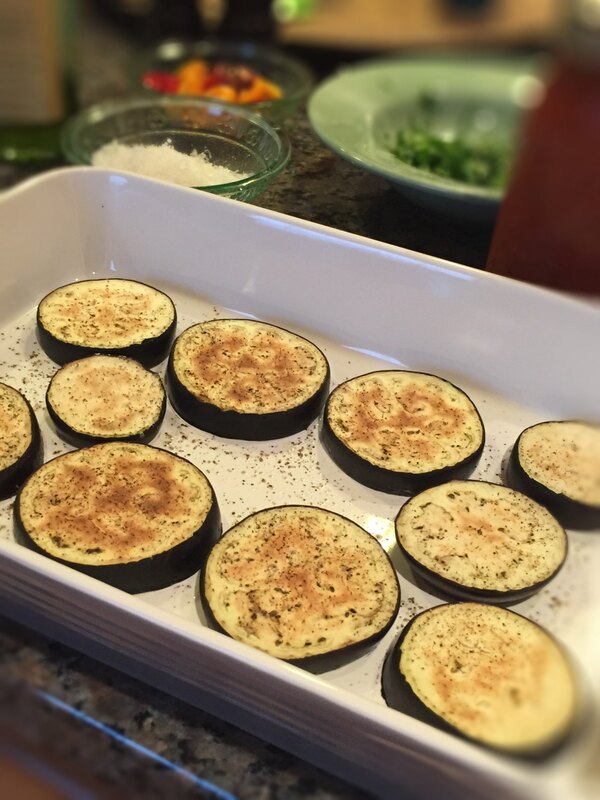 Olive oil a 9 x 11 baking pan and place eggplant rounds single layer. Bake for 25 minutes until slightly browned. In a bowl, toss spinach with garlic and a little olive oil and salt and pepper. Top each eggplant with a teaspoon of sauce. Jarred sauce is optional - you can make your own with crushed canned tomatoes or just let the fresh tomatoes be your sauce.